I would like to thank 50mmlosangeles for the opportunity to bring some light into the tunnel, or better said, the Belmont Tunnel. The Belmont Tunnel? Why the Belmont Tunnel? Who gave it its name? When did it actually become famous? Who painted there first? What were the first pieces done there? 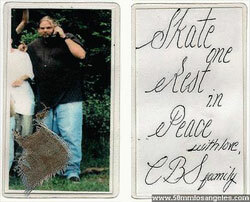 Skate One r.i.p. 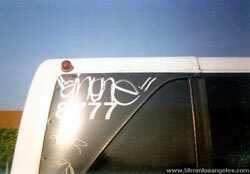 1969-1993 was one of L.A.'s most legendary graffiti artists. a story about SKATE please email us!